Use the Pro Needle Tool to cut heavy clay strips, cut designs in clay, and make holes. 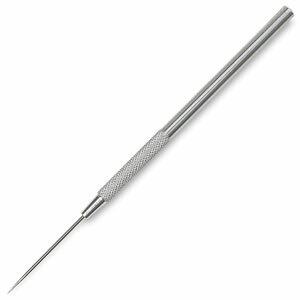 It's great for piercing the first primary hole in beads. The large, sharp needle is firmly set in an aluminum handle and finely textured to provide a firm grip for wet hands.